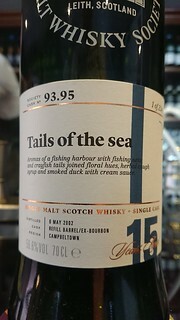 It's a very short mid-month release in October - just four whiskies! Definitely try the almost smokeless Bunnahabhain, which has lemon and honey and only reveals its provenance with some ash on the palette. Although I preferred the Glen Scotia, which has an odd but brilliant combination of diesel oil, creosote, lavender and heather. Yummy! The Mannochmore has a brilliant nose with pear, banana, toffee and croissant - but a little too much cinnamon. And finally, have a crack at the Glenrothes, which is a curiously arboreal dram that's hard to write tasting notes about - but easy to like in the glass.